General Dynamics’ mission systems business has helped NASA install equipment needed to modernize the agency’s Space Network ground terminals at the White Sands Complex in New Mexico. The company said Wednesday it completed the Space Network and Ground Segment Sustainment program’s installation and initial checkout phase meant to prepare the terminals for a communications test slated to occur in late 2018. 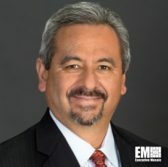 Manny Mora, vice president and general manager of space and intelligence systems at General Dynamics Mission Systems, said the company-agency team aims to move forward on the SGSS project without disrupting the system’s daily missions. “The NASA Space Network Ground System is the communications hub for 40 individual space missions currently in orbit, with more missions planned in the future,” Mora added. Ground terminals help the agency manage command, control, communications and operational functions of the Tracking Data Relay Satellite network. NASA aims to secure and avoid disruptions of the Space Network through the modernization project, General Dynamics noted.